Royal Ascot is designed with playful originality and innovation in mind, presenting an opportunity for a truly modern lifestyle in Ascot Vale. The new residential precinct will bring 36 new apartments to the neighbourhood, an expanding microcosm of gentrification in Melbourne’s growing urban fringe. With one, two and three bedroom apartments available, ranging from 47-119 sqm, the residences are perfect for first-time buyers, downsizers and investors. Advantageously perched on a corner site, Royal Ascot is a collaboration between McLaren Development and Plus Architects. The building’s sophisticated exterior exudes volumes of character, composed of brick tiles and dazzling glass balustrades. Featuring an artistic, sweeping facade with nature-infused, undulating balconies, the design both respects and compliments Ascot Vale’s rich surroundings. 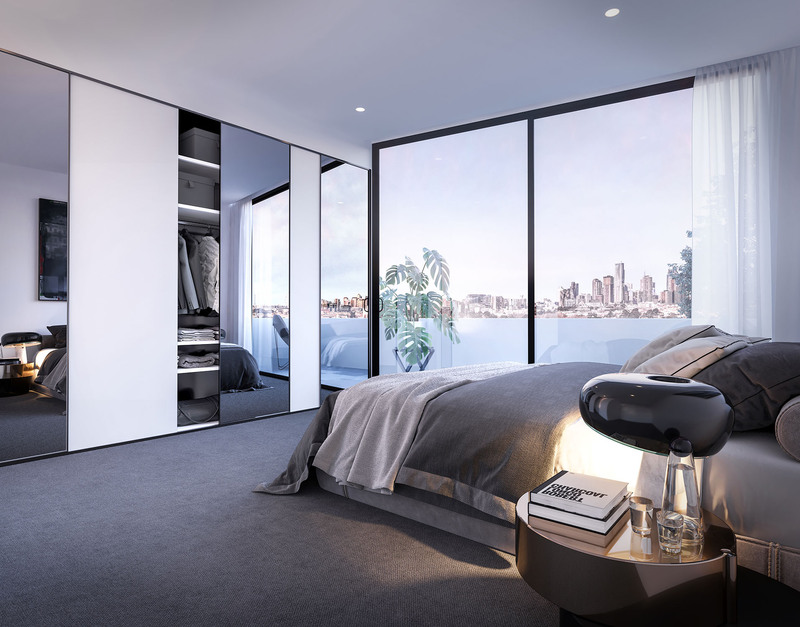 Ian Briggs at Plus Architecture commented, “The design combines the ease of inner-city living with all the benefits of the surrounding neighbourhood, providing garden terrace living in the sky. With bespoke interiors carefully crafted by industry leader MIM Design, there is a sense of boundlessness to Royal Ascot’s living areas. 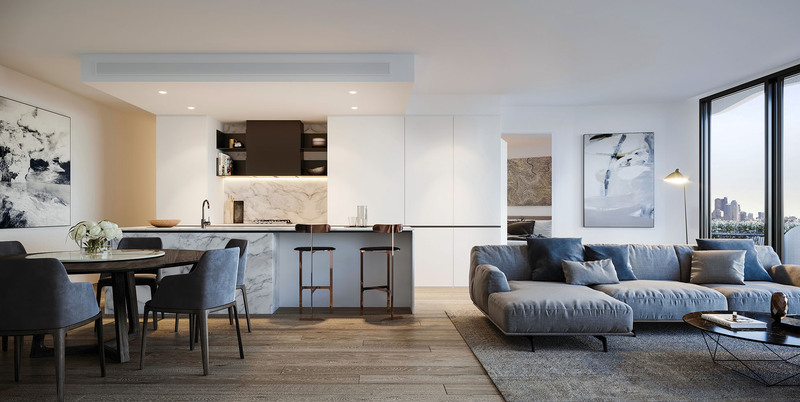 By cleverly blurring traditional perimeters through combining internal and external living spaces, the apartment allows occupants to roam through their home seamlessly. Floor-to-ceiling windows frame some of the city’s most iconic views while illuminating a palette of warm and neutral interiors. The elegant master bedroom integrates a large wardrobe, wool carpets and a study nook, the perfect place to steal away for some peaceful work. This private space is highlighted by ample natural light that travels through generous windows and is attached to an ensuite bathroom. 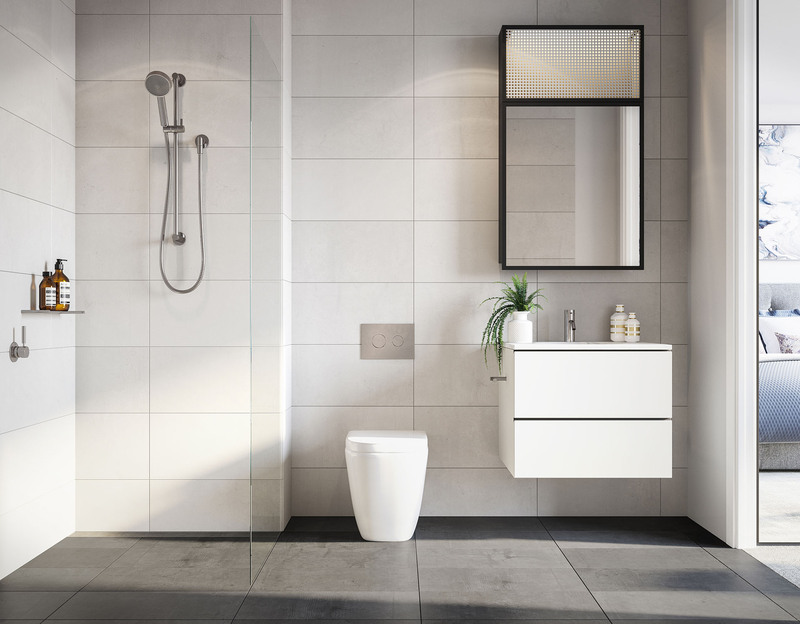 The bathroom is designed with a strong lean towards clean linearity and founded in high-quality finishes, fixtures and fittings. Materials are selected as much for their tangible qualities as for their visual appeal – the result is a room where residents can indulge in the ultimate pampering experience. The kitchen is considered to the highest degree, designed as a cohesive, functional and revitalising area to inspire and unleash the chef within. With integrated Miele appliances, residents will take advantage of the very best cooking experience money can buy. Royal Ascot’s courtyard is the ideal setting for social gatherings and also serves as a personal sanctuary for escaping your busy lifestyle. Immaculately landscaped gardens, crafted by renowned landscape architects Jack Merlo Designs, surround the pavilion area and adorn the space beautifully. The integrated barbecue and sink make for a fun afternoon of burger flipping and entertaining friends and family. 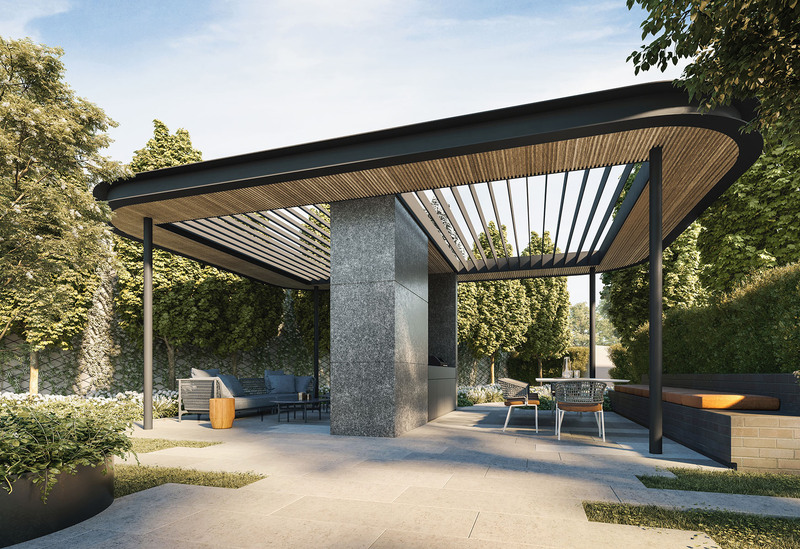 Royal Ascot finds balance between the tree-lined canopies veiling the streetscape and the sense of cultivation that comes from living on Melbourne’s doorstep. Encompassed by an amplitude of amenities and parks, residents will enjoy the benefits of suburban living in full. Head to The Happy Apple Greengrocer around the corner for the very freshest fruit and veg for your family and pop into Crumbs Organic Bakehouse for some homemade bread for breakfast. Gastronomical pleasures in the area include No.19, a must-visit venue for healthy dinner options. Try The Valley Cellar for a romantic glass of wine or Darling Street Espresso for a cup of coffee with friends. KX Pilates and Yoga flame will keep you busy on a Sunday and for a day of fun with the kids, visit the nearby Melbourne Zoo. Boasting close proximity to the CBD, which is a mere 5km away, as well as a strong network of transport links, Ascot Vale offers the perfect synergy of simplicity and connectivity. One bedroom apartments start from $389,500, two bedrooms from $519,500 and three bedrooms from $789,500. Royal Ascot’s construction is expected to be complete by May 2019. For more information or to enquire about Royal Ascot, click here.